Disney today revealed details of new Star Wars: The Force Awakens products kept under wraps to preserve surprises for fans. 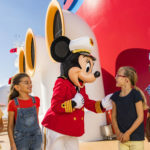 With the film now breaking box office records and storylines officially revealed, new toys, collectibles and more are rolling out at Disney Store locations and mass retailers nationwide. “Star Wars: The Force Awakens has made instant icons of new characters like Rey, Finn and Kylo Ren. 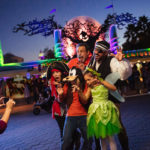 We’re excited to share an incredible range of products that celebrates these fantastic new heroes and villains, allowing fans to take some movie magic home,” said Paul Southern, Senior Vice President, Star Wars Licensing, Disney Consumer Products. 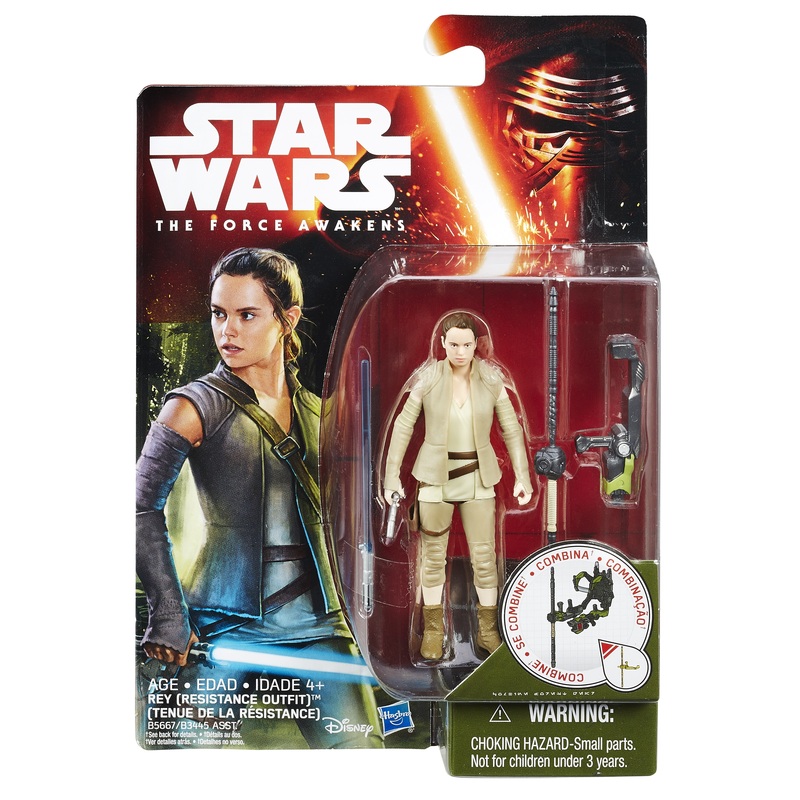 For the first time ever, Star Wars was featured in the National Retail Federation’s top ten toys lists for both boys and girls, and the new line puts heroine Rey front and center. 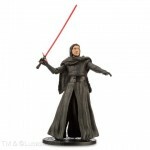 New items focus on key plot points from the movie like the identity of Kylo Ren and the reveal of Rey’s weapon as a lightsaber. Highlights from the Disney Store line include a Rey Lightsaber toy, updated Elite Series Die Cast Action Figures, a Kylo Ren Unmasked action figure, as well as a Deluxe Figure Play Set that includes 10 highly detailed figures such as General Leia, Han Solo, Rey, Kylo Ren and more. Highlights at mass retail include new items from Hasbro, such as: 12-inch action figures featuring the characters Rey and Finn as FN-2187 (his stormtrooper moniker), 3.75-inch figures featuring new characters and scenes like Rey in her Resistance Outfit with her Lightsaber, Star Wars NERF Rey and Han Solo blasters, and a Star Wars Bladebuilders Rey Electronic Lightsaber. 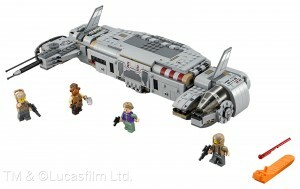 From LEGO®, new Star Wars: The Force Awakens construction sets include a Resistance Troop Transporter (featuring a General Leia minifigure) as well as LEGO® brand Star Wars™ buildable figures featuring heroes and villains from the film, such as Rey, Finn, Kylo Ren, Captain Phasma and more. Beyond figures and play sets, fans can find products featuring their favorite characters including Rey, Finn, Kylo Ren and Captain Phasma, across a range of categories including: Hot Wheels® diecast vehicles and ships from Mattel, plush from Build-a-Bear, skateboards and outdoor play items, role play from Rubies, home décor (bedding, throws, posters), seasonal and party supplies, puzzles and much more. Apparel for the whole family is also available at Target, Kohl’s, JCPenney, Hot Topic and more. 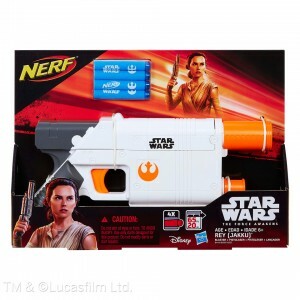 The first wave of product around Star Wars: The Force Awakens was officially launched on “Force Friday,” a global fan event on September 4, 2015, which saw more 130,000 fans turn up to one of 3,000 retail locations in the US that opened their doors at midnight. Highlights of the new line were revealed via a global unboxing event that unfolded over 18 hours, 15 cities and 12 countries. Kicking off in Sydney and rolling around the world New Year’s Eve style, the event saw popular Maker talent unveil new toys in different cities across four continents with the whole event streamed live on YouTube.